Almonds covered in Donovan’s creamy milk chocolate. 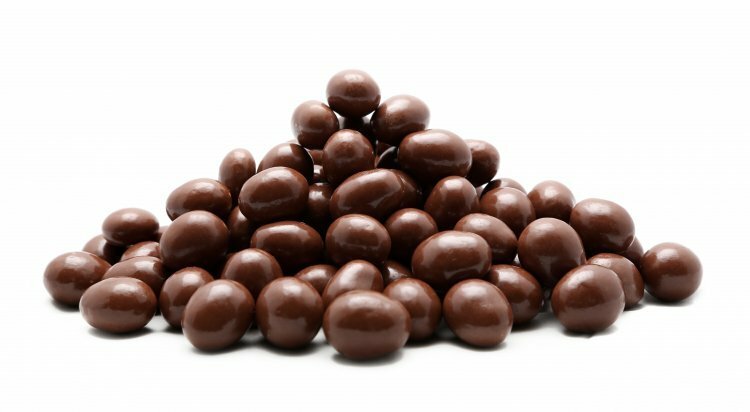 Milk Chocolate (81%) (Sugar, Milk Powder, Cocoa Butter, Cocoa Mass, Anhydrous Milk Fat, Emulsifiers (Sunflower Lecithin, 476), Natural Flavours), Dry Roasted Almonds (18%), Glazing Agent (904). Contains milk and tree nuts. May contain traces of egg, gluten, peanuts, sesame seeds, soy, sulphites and other tree nuts.